Give your wedding guests party favors that will make your big day unforgettable. 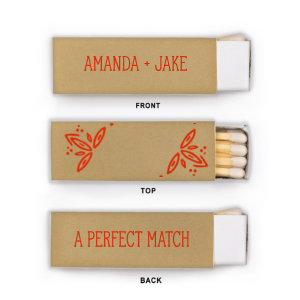 A customized lipstick wedding matchbox is the perfect wedding keepsake that is also useful. 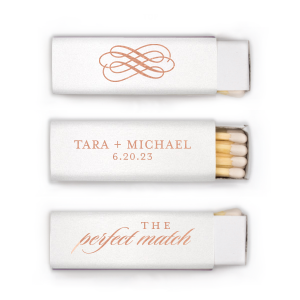 Use the three customizable sides to combine coordinating design elements to complement your wedding theme. 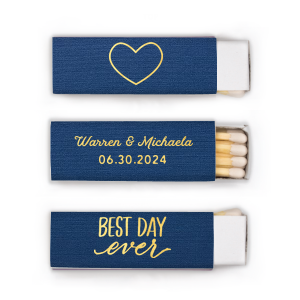 Say thank you with an adorable wedding favor guests will love using! Create custom lipstick matchboxes for your wedding and give the gift that keeps on giving. 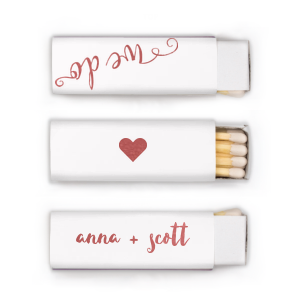 Our deepest matchbox, lipstick matches are shaped like an old-fashioned lipstick case and have an additional side you can customize with your wedding theme. 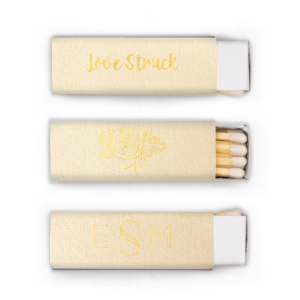 Make your wedding lipstick matchbox meaningful and personal by designing all three sides of the box to complement your wedding look and feel, whatever the theme! For Your Party's variety of fonts and graphics ensures you can find a design for any look—a greenery themed wedding, industrial themed wedding, blush wedding, any destination wedding, you name it! 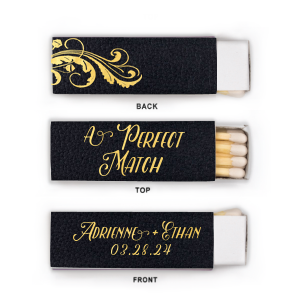 Simply choose from one of our designs or create your own in the FYP Customizer. 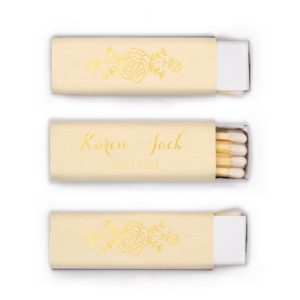 Get creative with the presentation at your wedding and fill a glass vase with your foil stamped lipstick shaped box matches to make a pretty display on the favor table. 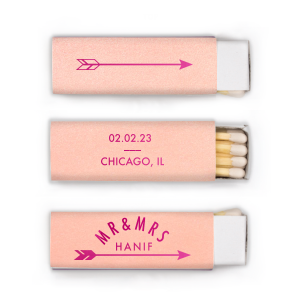 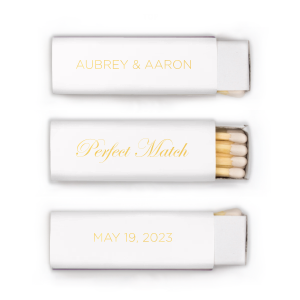 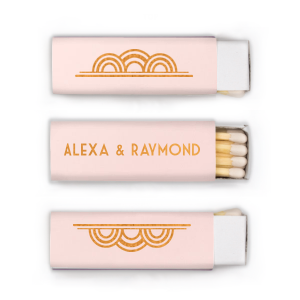 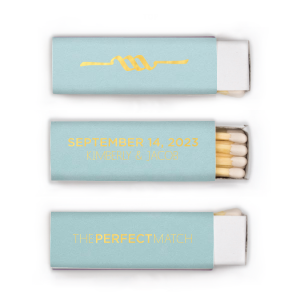 Now that you've married your perfect match, it is time to give guests the perfect matchbox.